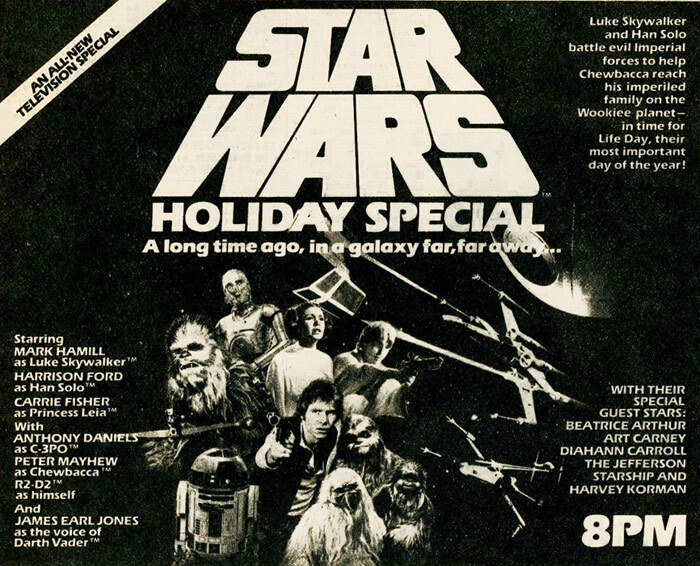 In 1978, the Star Wars Holiday Special premiered on CBS. The show was a very weird variety-type program, the style of which was wildly popular in the 70s. This show featured a storyline involving Chewbacca returning to his home planet to celebrate "Life Day." The special includes the entire cast of Star Wars, including the first ever introduction of Boba Fett. It also features a music video by Jefferson Starship and ends with Carrie Fisher singing the theme to Star Wars. The special was broadcast once. Only once. And was never released on any form of home media due to the negative reaction the special received. Two years later, RSO Records, in conjunction with LucasFilm, released Christmas in the Stars: Star Wars Christmas Album. 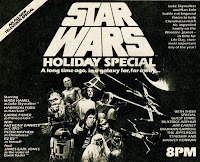 That's right: in spite of all the negativity surrounding the Star Wars Holiday Special, they did it again. The album was conceived by Meco Menardo, who famously made a Star Wars disco album in 1977 entitled Star Wars and Other Galactic Funk. Appearing on the album is Anthony Daniels as C3-PO, who narrates and even sings most of the songs. The Christmas songs are all Star Wars related, including the awesomely weird, "What Can You Get A Wookie For Christmas (When He Already Has a Comb)?" The album opens with a great song called "Christmas in the Stars," with C3-PO lamenting the fact that Christmas always comes so early ever year and he is never ready, even though he tells R2-D2, "Yes, I have a list!" Give the album a listen and revel in the kitsch and miscues. It's okay to laugh and shake your head in disbelief. 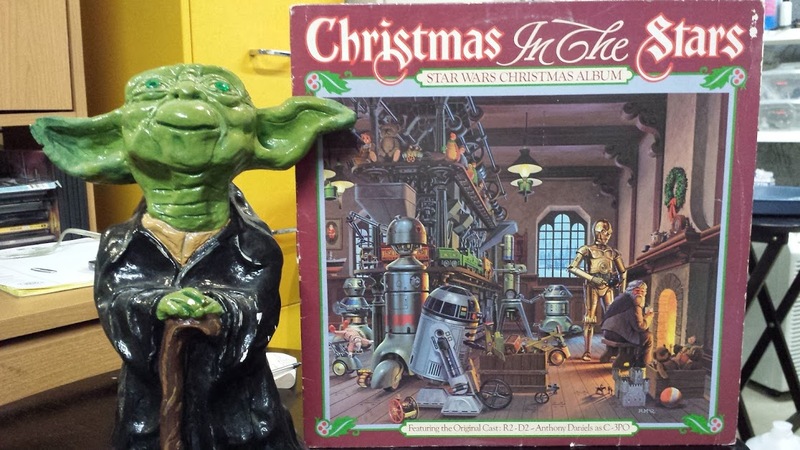 This is a relic from another time----a time when borderline racist jokes are okay on a Christmas album, such as when C3-PO chides R2-D2 for not knowing what "Japanese" is. R2-D2 apparently does not know what indigestion is, either. Or Einstein, for that matter. Give "Bells, Bells, Bells" a listen and be amazed. C3-PO: What is that? That my silly friend, is the sound of bells. Not that bells and indigestion are the same. Compared to “what are bells?” seems almost tame. C3-PO: What is indigestion? Who is Einstein? I will help your education with a simple explanation of bells. You can listen to the entire album below. This year Christmas in the Stars will be featured on our annual Vinyl Christmas, now playing on Vinyl Voyage Radio through December 27. The Best Vinyl is back! The Vinyl Christmas is Here!